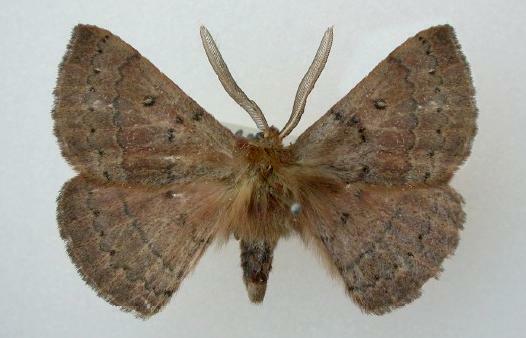 The adult male moths of this species are basically brown. Each wing has three indistinct transverse jagged dark lines. Each forewing has two black spots with white centres. The wingspan of the male is about 4 cms. The nature of the female is unknown. Entomological Society of Victoria, 2008, pp. 18-19. Volume 14 (1891), pp. 191-192.